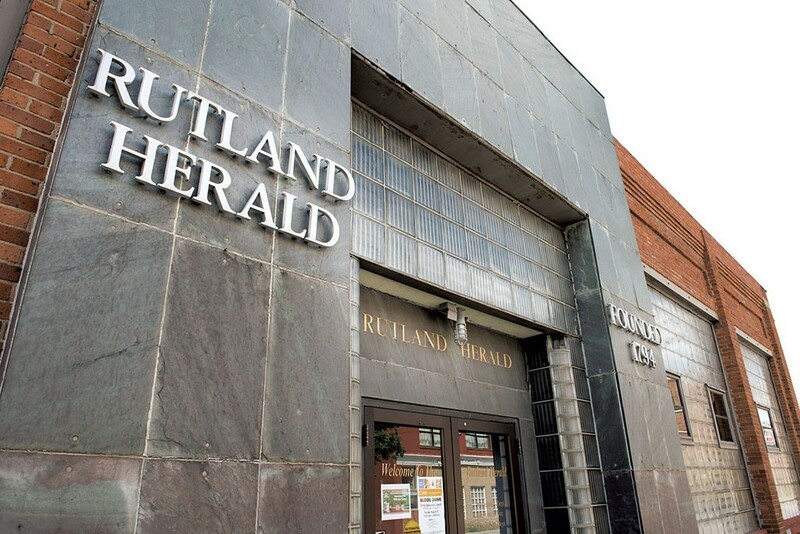 The longtime owners of the Rutland Herald and Barre-Montpelier Times Argus have agreed to sell the Vermont newspapers to a company headed by a Maine publisher and a semiretired New Hampshire printing executive. Herald Association president R. John Mitchell, whose father bought a stake in the Herald in 1947, announced the sale on the paper’s website late Wednesday in a story written by his son, editor in chief Rob Mitchell. It appeared on the front page of the Herald and Times Argus Thursday morning. The buyers — Reade Brower of Camden, Maine, and Chip Harris of Center Harbor, N.H. — said they are committed to turning the papers around. Brower, 59, has been in the newspaper business since 1985, when he founded the weekly Free Press in Rockland, Maine. In June 2015, he bought the newspaper group that owns the Portland Press Herald and several other major Maine papers. Harris, a 67-year-old former reporter, cofounded Upper Valley Press, a New Hampshire company that prints the Herald, Times Argus and Seven Days, among other newspapers. Neither buyers nor seller would disclose the terms of the sale. Brower and Harris both said they expected the deal to close quickly. According to Harris, the two sides did not initiate discussions until last week, when word of the Herald’s financial condition began to spread. Harris said he connected Mitchell, a longtime acquaintance, with Brower — and the parties began negotiating in earnest late last week. As Seven Days first reported last Wednesday, management has for weeks been late in compensating employees and freelancers. After Herald editor Alan Keays published a story about the company’s financial turmoil in Friday’s paper and advocated a follow-up for Saturday’s edition, R. John Mitchell fired him late Friday afternoon. Employees briefly walked out and later threatened to quit if he was not rehired. The Mitchells and publisher Catherine Nelson held a companywide meeting Monday morning to apologize for the late pay. They hinted at the time that they would have more to report soon. But when they were asked directly whether the Herald would be sold, Rob Mitchell said it would not, according to sources who attended the meeting. He did not respond to a request for comment. Later that day, managing online editor Patty Minichiello tendered her resignation. She had worked at the paper for all but an eight-month period since 2004. In an interview with Vermont Public Radio’s Patti Daniels on Thursday, Rob Mitchell described his family’s decision to sell as difficult but necessary. Brower described the situation in similarly dire terms. Brower said it was “just too early to tell” what changes he and Harris might make to their new acquisitions, but he suggested they might reevaluate the Mitchells’ decision earlier this summer to drop print publication on Mondays, Tuesdays and Wednesdays. Harris said that he and his partner planned to “go slowly” and avoid “radical changes,” but he echoed the desire to return to the daily model. Brower would not specifically commit to retaining all current employees, but he suggested that layoffs were not on his mind. He added that he did not know whether the Mitchells would remain involved in the paper’s production, but he suggested that Nelson would stay in place as publisher. R. John Mitchell relinquished that role last December, but continued to serve as the company’s president. Rob Mitchell, who previously ran the papers’ online operations, was named editor in chief at the time. The family bought the Herald in 1947, along with partner Leroy Noble. They purchased the Times Argus in 1964. In 1986, the Mitchells bought out the Nobles. Brower, who also owns a printing press in Brunswick, Maine, has a history of purchasing distressed news organizations. In 2012, he swooped in to buy three Maine weeklies that had recently been shut down. Three years later, when the Press Herald was grappling with a printing problem, he bought its parent company, MaineToday Media, which also owns the Maine Sunday Telegram, Waterville’s Morning Sentinel and Augusta’s Kennebec Journal. After buying the three weeklies, Brower said, he made small changes to make them more sustainable, such as putting up pay walls for online readers. Brower seconded DeSisto’s assessment of his hands-off style.